A&E is taking its upcoming series Damien on the road to Comic-Con in San Diego, taking place July 8-12 — and to celebrate the trek, the network has cooked up a sinister new poster. The art, which first released on Mashable, is among the few looks we’ve had at the series, debuting in 2016. The show, of course, is based on the 1976 movie The Omen, though it will focus on the adult life of main character Damien Thorn (Bradley James). 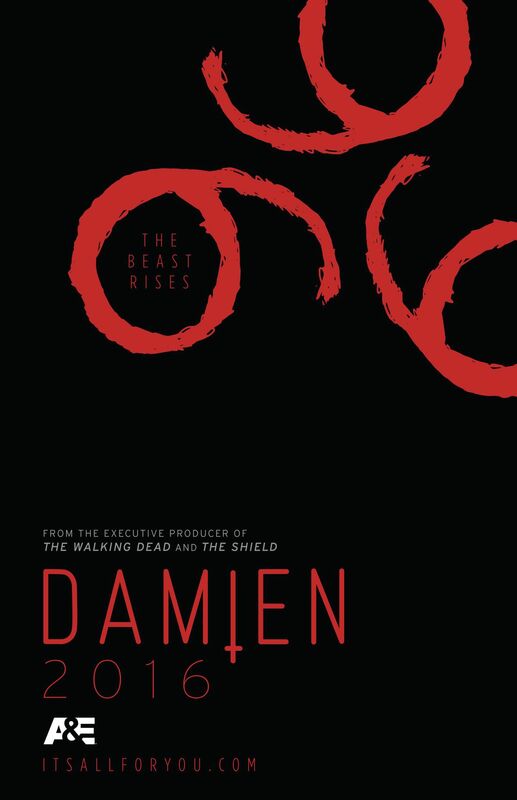 When the series begins, Damien is coming to terms with his true identity as the Antichrist. Take a look at the video below for a glimpse of the first look. More information about the series can be found on the official website.